$3.66 a gallon here in Connecticut. Feels like prices went up overnight. I have a ton of points from our grocery trips to Stop n Shop; every 100 points grants you $0.10 off gas at the Stop n Shop station. I paid $3.36 the other day with my points and felt like a savvy shopper. Hey Ron, you'd better head out of Waikiki for your gas. It's about $3.89 on the Waipahu side. 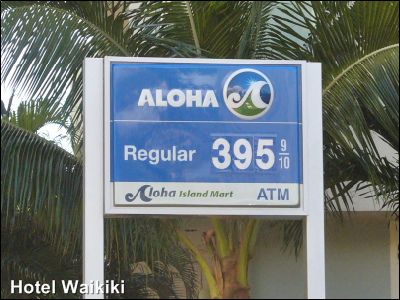 Paid $3.809 at Aloha Island Mart in Mililani yesterday afternoon. That $3.959 you posted is ridiculous. "US Post Office Road" is also known by high school grads as Saratoga Road. Hubby gets his gas from Costco, which is always cheaper than elsewhere. As for me, I don't really mind the high price at Chevron Salt Lake, because I fill up just once a month or longer. Hey again! Did you hear about the second water main break! Sheesh! Your part of the island is coming apart. Ann- yes, definitely overnight. They're giving away points at Stop n Shop to redeem for cheaper gasoline? The gas stations will be giving us high fives soon. 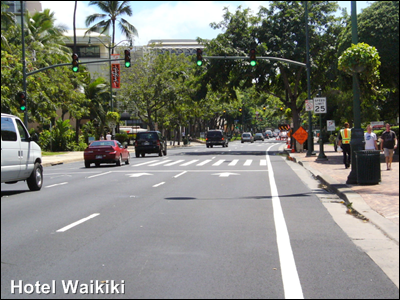 Kay- LOL, I'm already out the door to Waipahu to save the $2.00 on gasoline. And I've been wondering if perhaps last week's earthquake is causing the recent water main breaks. Nate- $4.16 for the 92 octane, or the whatever the highest grade. Somebody suggested that drivers second mortgage their cars. anonymous- yeah, I tend to use the more easily associated names for streets and things. Joe's street. Walmart lane. Obama's house. Just trying to be humorous. gigi- Once a month or longer? How in the world will the oil companies ever survive.